Since 1992, Pioneer Communications Group has been helping clients meet their goals through comprehensive, results-driven marketing communication programs. ​As a virtual agency, Pioneer Communications Group works with professionals in various fields (graphics, video, audio, marketing research, web development) to help provide clients with comprehensive marketing, branding and market research programs. 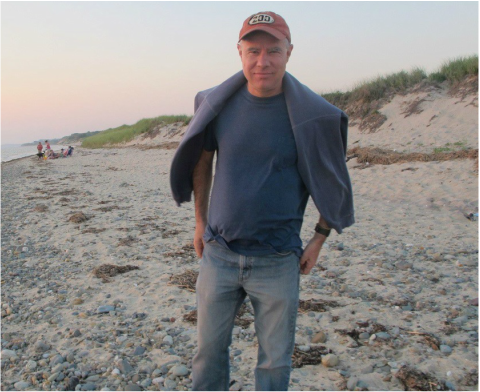 Peter Littell (the guy on the beach), is the principal of Pioneer Communications Group. He brings decades of marketing experience, having worked for companies large and small. He is the agency's marketing consultant, copywriter, account executive, and creative director. He has even become the Marketing Director for his clients, until they find someone permanent. ​Peter also serves on the Board of Directors of the Biodynamic Association (BDA), committed to rethinking agriculture through healthy food, healthy soil, and healthy farms. He is President of the Biodynamic Farmland Conservation Trust, the nonprofit educational foundation that oversees Brookfield Farm, America’s oldest continuously-running CSA (Community Supported Agriculture). He teaches as an Adjunct Professor in the children's writing program at Simmons College. You have a small business. You make products that you sell to consumers, or wholesalers, or manufacturers. You offer services to a specific audience - retailers, other businesses, people. We offer a flexible, practical and hands-on marketing program that will help you maximize the effectiveness of your marketing budget. Optimize your marketing. We offer affordable and powerful marketing automation, complete with expertise on creating content that engages (and therefore converts). Content is king. It's just hard finding the time and getting the right voice, Our content workshop will kickstart your content generation, help you find your brand voice, and energize your writers.